« What type of therapy is needed after Partial Knee Replacement? Plano Orthopedics honors Plano Police Department year round. 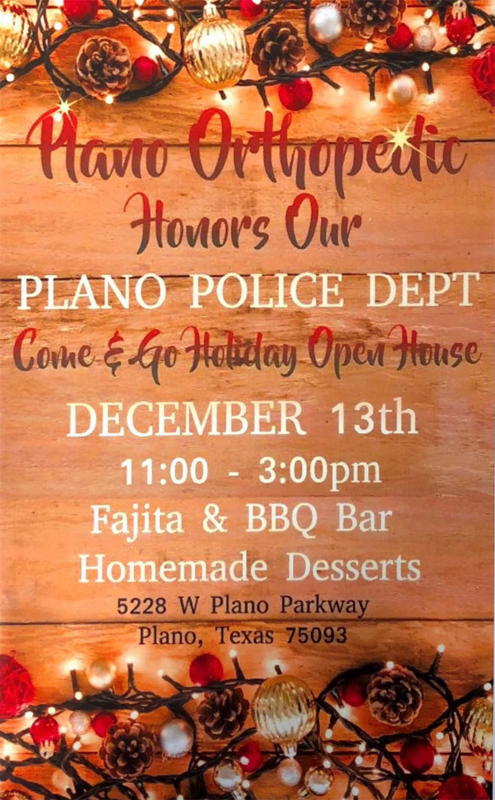 Plano Orthopedics honors Plano Police Department year round. Come join us at POSMC on December 13th at 11am to 3 pm. This entry was posted on Tuesday, November 20th, 2018 at 8:08 pm	and is filed under Latest News. You can follow any responses to this entry through the RSS 2.0 feed. Both comments and pings are currently closed.